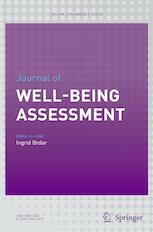 This journal advances well-being assessment theory, research and practice across domains and cultures, bringing together different assessment fields and theories around the common topic of well-being, and offering new insights and advances on well-being assessment. Articles report on the development of new measures, and the adaptation of existing ones, as well as assessment literature reviews. Contributions focused on the cross-cultural adaptation of existing instruments include evidence concerning measure validity and application potential. Also included are articles on new well-being measures grounded in local traditions or suited for international comparisons. The journal is an essential tool for researchers and professionals in a variety of disciplines involved in well-being assessment, evaluation, testing, and application, including as psychology, sociology, education, health studies, social work, economics and related social and behavioral sciences.